There hasn't been much to read here for a week or so. 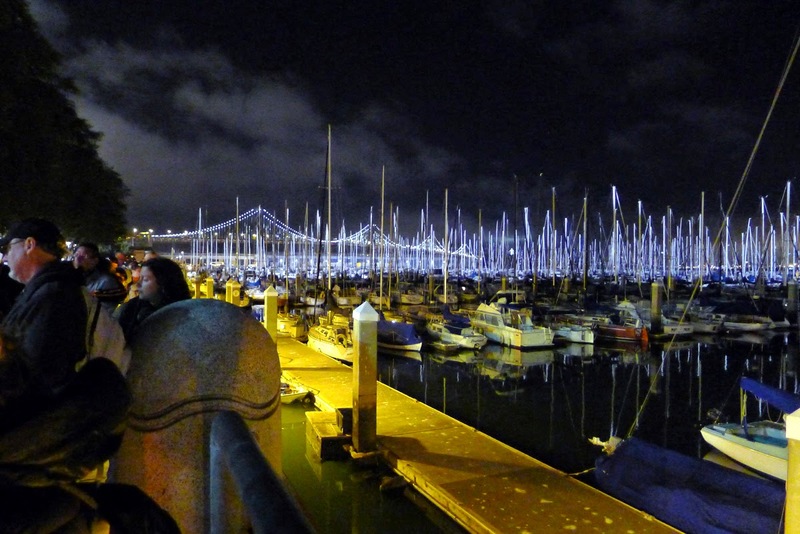 I spent last week on a short, busy junket that included stops in Ashland, the Sacramento area and San Francisco. There's enough material to produce a several posts, so I'll try to stick to the highlights. Of course beer was involved. 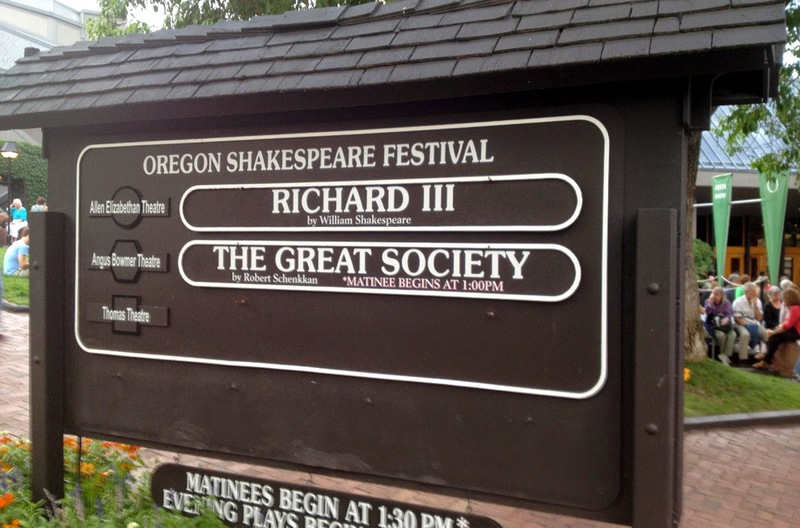 Our first stop was in Ashland, where we planned to see The Great Society, the second of two plays that look at the presidency of Lyndon Johnson. The first play, All the Way, which covered LBJ's presidency up until his landslide victory in 1964, received numerous awards. After premiering in Ashland in 2012, it eventually made its way to Broadway in March 2014. 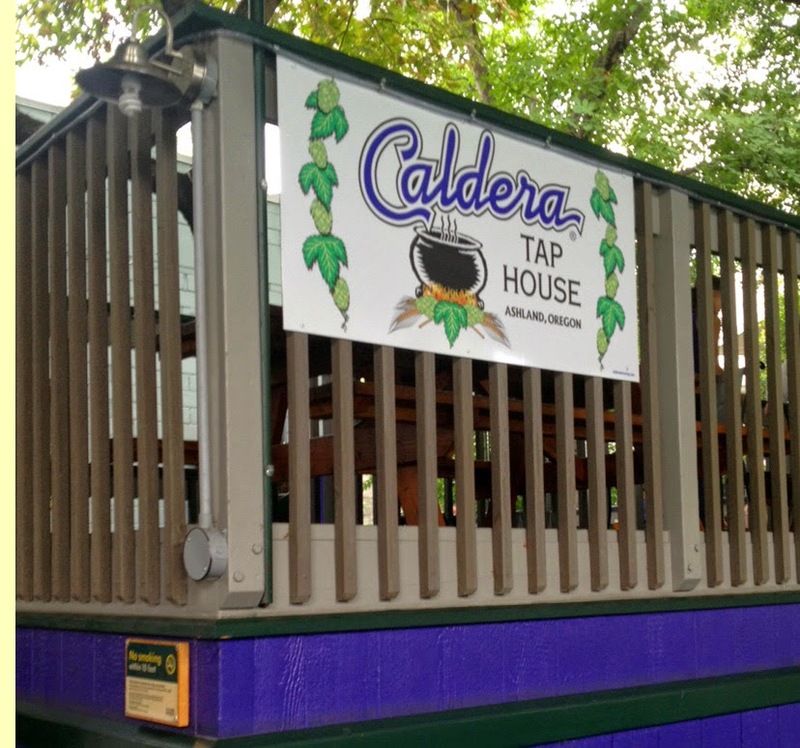 We stopped at Caldera Brewing Taproom for a quick beer a couple of hours before the play. There weren't many souls in the pub...they were outside on the patio. I was surprised at the relatively small size of the pub. Many beers were sampled. I particularly liked Mogli, a barrel-aged Imperial Porter brewed in memory of a departed black Lab. They were also pouring Citra Pale Ale, a seasonal loaded with hops aroma and flavor. Getting back to the play, The Great Society picks up in the early stages of Johnson's second term. As he works to expand his domestic agenda, he gets caught in a trap of his own making...Vietnam. As many will recall, the war undermined Johnson's domestic efforts and destroyed his presidency. He refused to run for reelection in 1968, broken and depressed. That's the Cliff Notes version. I didn't see the first play, but my sense is it is the better of the two by a wide margin. The Great Society combines great production values and acting with a bloated script that veers off course multiple times. Not bad, but also not great. In case you're wondering, they do have a small selection of craft beer and cider available inside Angus Bowmer Theater...sold during intermissions only. The next day, it was on to Winters, Calif. for a family visit. There's one brewery in Winters, which I'll get to. On my last visit, someone had suggested a trip to Track 7 in Sacramento, which is about a half hour away in decent traffic. Because they are only open evening hours during the week and a weekend trip was impossible, we traveled there in thick traffic and it took nearly an hour. Oh well. Track 7 has been open for several years and is following the example provided by many newer breweries in California and Oregon. They have a taproom and rotating food trucks...a common theme these days. It's clearly working for them because the place was packed and people were snapping up beers and ordering food like crazy. There isn't a bad beer here, but I didn't find anything very memorable either. 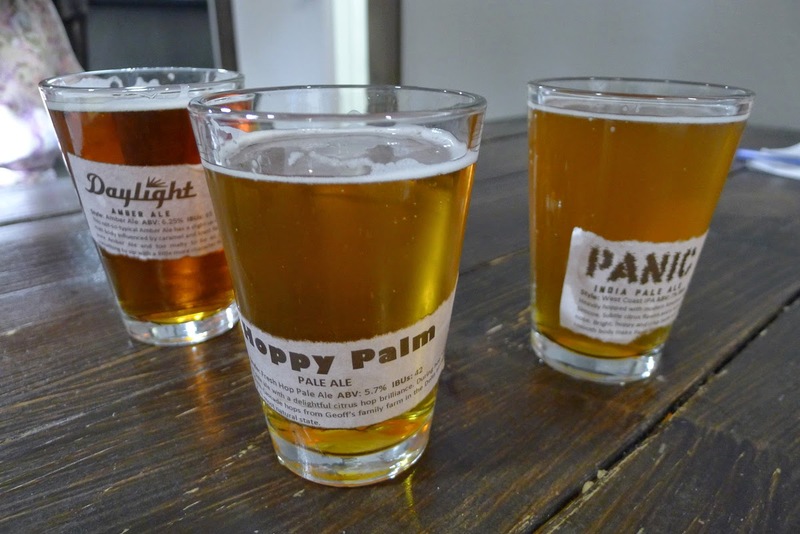 I had seen some positive comments on Panic IPA, and it's a decent beer. But it lacks the depth of flavor and aroma you expect in a top notch IPA. Motherland, a triple-IPA, was woefully out of balance. Probably the best beer we tasted was Sedusa, a nice Wheat IPA. As I say, patrons were snapping this stuff up. It occurred to me that this is an underserved area. California has a ton of breweries, more than any other state. But it also has a lot of people and the breweries aren't necessarily spread evenly according to population.So you wind up with grey areas. Another brewery recently opened in Sacramento and I suspect there are more to come. The highlight of the trip came on Friday, when we traveled (by ferry) to AT&T Park to watch the Giants play the Phillies. My wife was raised a Giants fan in the Bay Area and attended games at Candlestick as a kid. But she had never visited AT&T Park. Two World Series titles later, she gets to cross that bucket list item off. As for me, I am an adopted Giants fan. It's hard to describe the majesty of this ballpark. The views you see on TV don't do the place justice. We entered the park as the Giants were finishing batting practice and took in the afternoon sights. Sailboats zigged and zagged in the adjacent bay. The grounds are immaculate and the fixtures amazing. Is there a better place for baseball? I doubt it. 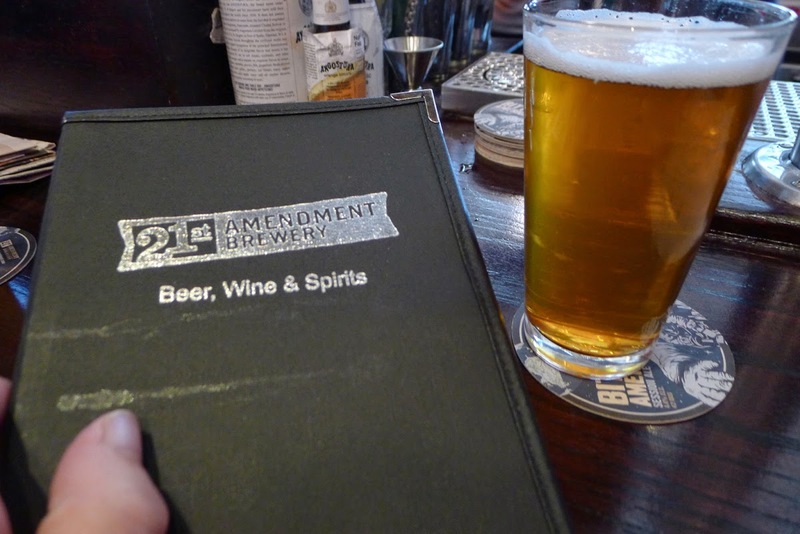 Prior to the game, we stopped at 21st Amendment Brewery, which is located blocks from the ballpark. The place was packing in with Giants fans three hours before game time and we were lucky to find seats at the bar. The beers were not impressive. An extra light pale ale was dreadfully out of balance and too bitter. A seasonal IPA suffered similar shortcomings. Still a pretty cool place. 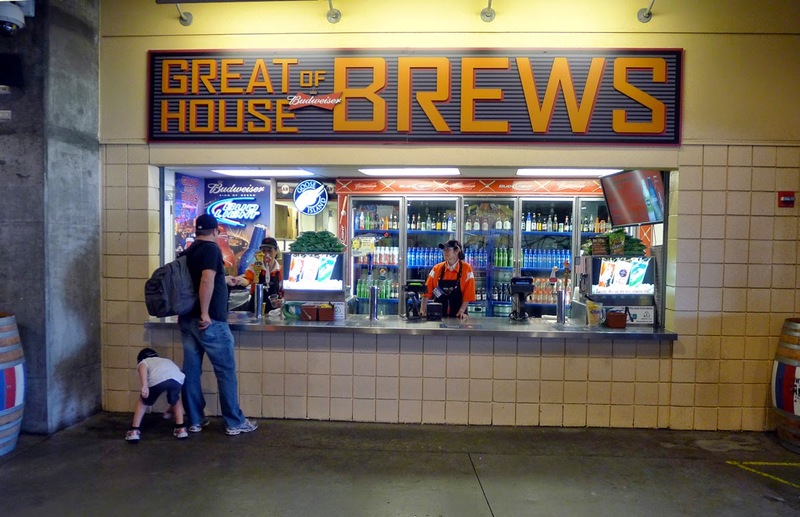 Over at AT&T Park, the beer selection was not too exciting. I found beers by Lagunitas and Sierra Nevada without much trouble. But most of the beer stations were infested with a nasty line of Anheuser-Busch products. 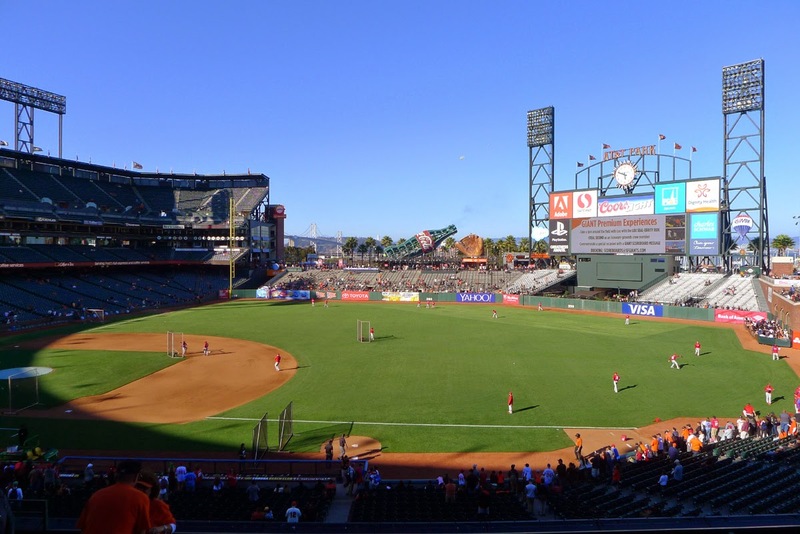 There's a reason AT&T Park did poorly (17 out of 30) in a survey of baseball stadiums and the quality of craft beer they serve. Seattle is the top dog, if you didn't know. The Giants lost the Friday night game to Philly in extra innings and it was quite cold in the ballpark by the end. Remember to pack a ski jacket and long pants if you plan to attend a night game down there. Or attend a day game...that's definitely what we'll do next time. 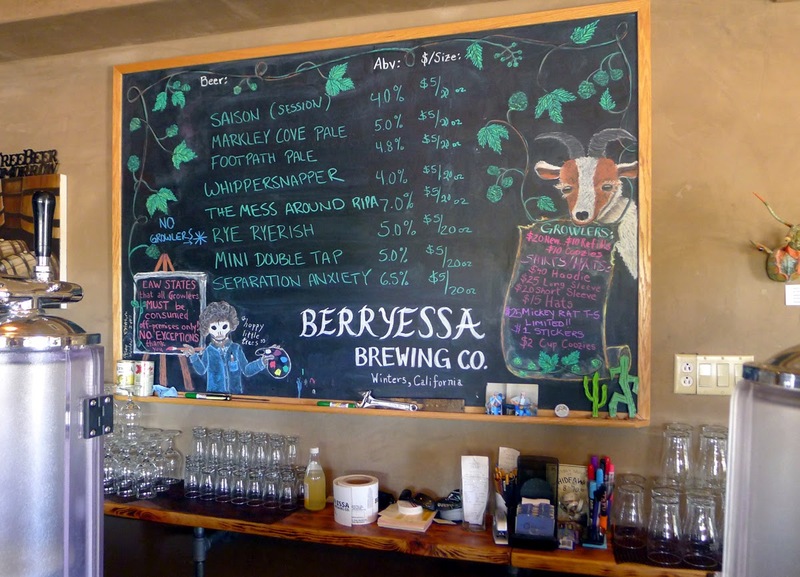 Closing out the trip, I visited Berryessa Brewing in Winters on Sunday. I'd been to Berryessa before (the story is here). They have expanded their outdoor seating and now have rotating food trucks to supplement the beer. As noted above, it's a common theme. Berryessa's beers are fairly accomplished. The terrific Double Tap IPA tasted on my initial trip was not available, replaced by Mini-Double Tap. MDT wasn't bad, but certainly no substitute for the original. They were pouring a couple of nice pale ales, as well as a Belgian. The beer list leaned heavily toward lighter beers...not a bad idea given the brutal summer heat in Winters. It was a fabulous trip, but I'm glad to be back in Oregon. During a back and forth email conversation while I was in California, an industry friend suggested that you really appreciate how good we have it here when you spend some time out of state. There are plenty of great beers in California and elsewhere, but I think he may be onto something. 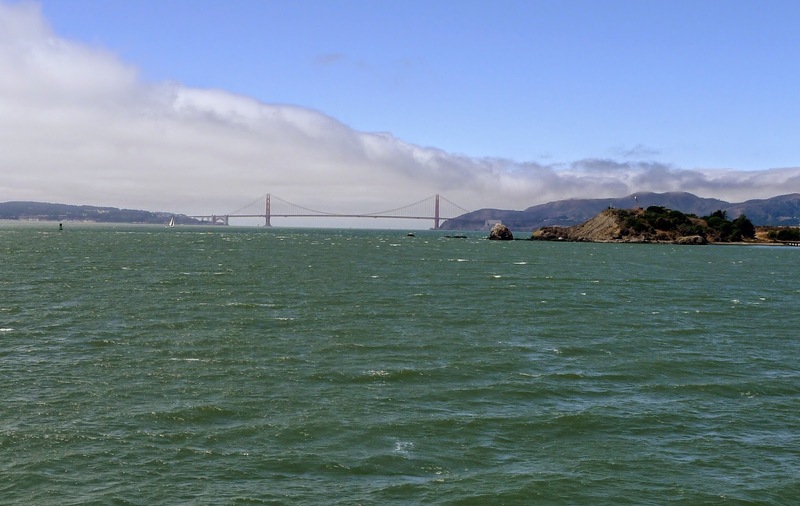 The coldest winter I ever spent was a summer in San Francisco. An apocryphal, but smile-inducing quote.